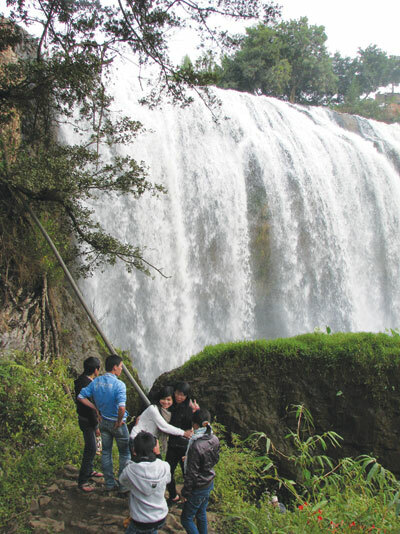 Located in the way down to Nam Ban Town, Lam Ha District, Lam Dong Province, Elephant waterfall is about 25km far from Dalat city in the south west. This waterfall also called Lieng Rowoa Waterfall is considered as the most beautiful and majestic one in the Highland provinces. 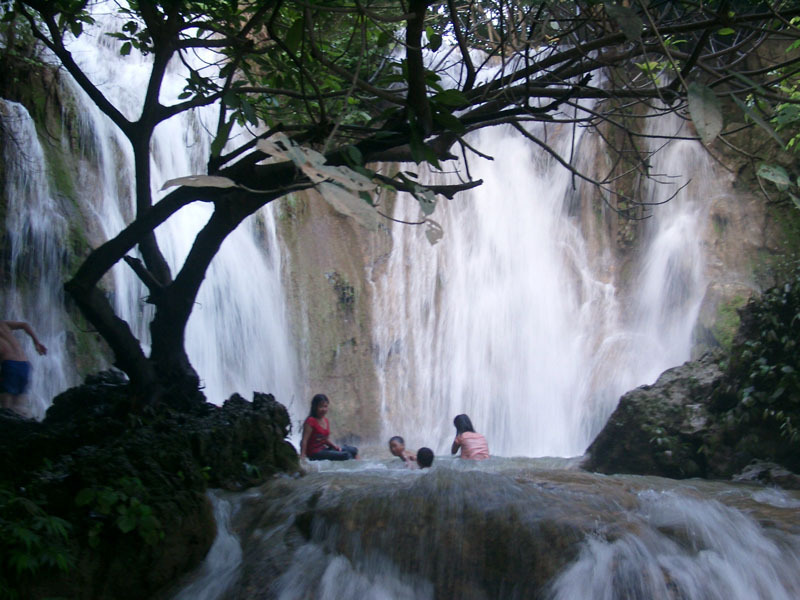 The waterfall, which is 30m in height, and 15m in width, is not far Linh An Pagoda. Although it’s located in the downtown, it still remains its natural beauty. In 2001 Elephant Waterfall is recognized as a national heritage. 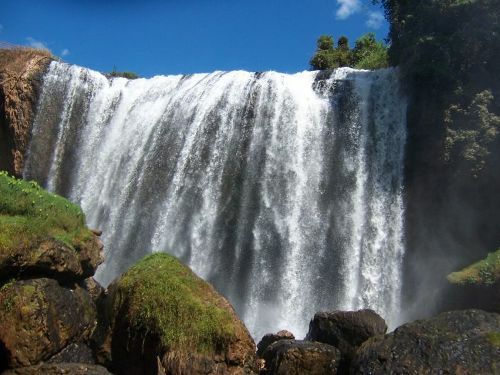 It would be unfortunate if visitors come to Dalat city (Lam Dong Province) but missing the Nam Ban countryside where they can witness Lieng Rowoa (Elephant waterfall) which is mysterious, romantic and impressive. Visitors wishing to fully enjoy the wild beauty of the fall have to conquer 145 stairs reaching its top. There are also hundreds years old tree forests, red leaves and flowers. If you are the people who like wild, quiet, go to this place to contemplate the hills and mountains, pine forests and rocky waterfalls. 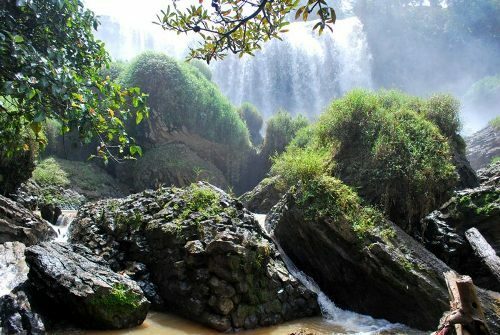 Elephant Waterfall, which is still keeping the original’s features, is waiting to be discovered by the natural lovers. There are also some guest houses, tourist clubs, some poetic bridges looming in the deep eyesight. Every year, the Elephant Waterfall welcomes thousands of visitors in Vietnam travel. In addition to its attractiveness, Elephant waterfall used to be the holy revolutionary base of our country during the resistance against the French- American colonialists.